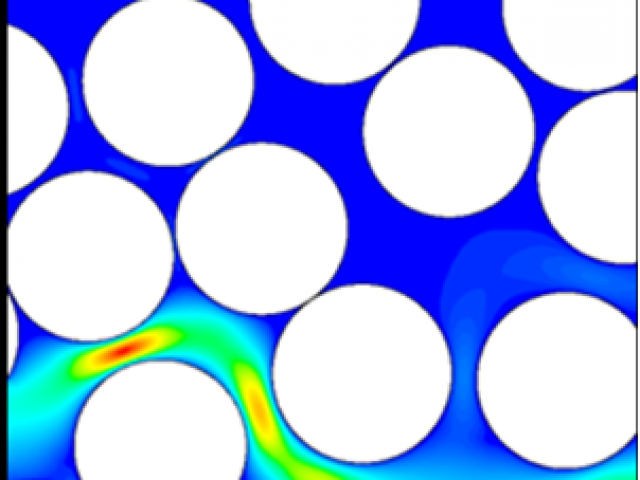 To develop a multi-scale modelling framework in order to predict properties affecting material behaviour during composite manufacturing processes. This will enable improvements in the modelling of textiles at the meso-scale to capture features of real materials and automatically produce realistic models which lead to more accurate predictions. A full multi-scale modelling framework has been developed and validated. 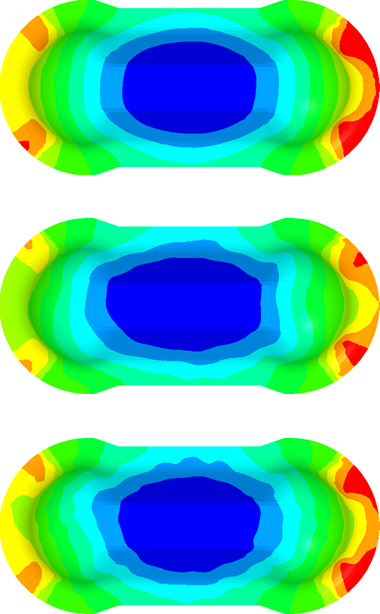 Previous work on thermo-mechanical modelling for shape distortion in composites manufacturing processes allowed modelling of unidirectional composites. This has been extended to textile reinforcements, addressing manufacture-induced deformation, typically shear and inter-layer nesting. 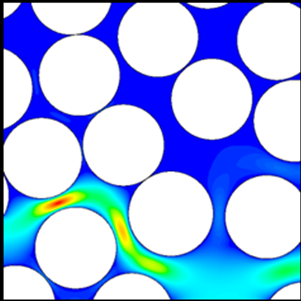 Models have been validated against experimental permeability data. Geometric modelling at the meso-scale is implemented in TexGen (University of Nottingham open source programme for geometric modelling of textiles). An addition to the user interface has been implemented to automatically create models of sheared textiles using data from the undeformed textile. Models can be generated which simulate the effect of compaction based on rules extracted from observed behaviour of real textiles. Inputs to commercial FEA software are automatically generated for prediction of properties. Single layer woven textiles are typically stacked to form laminated composites. 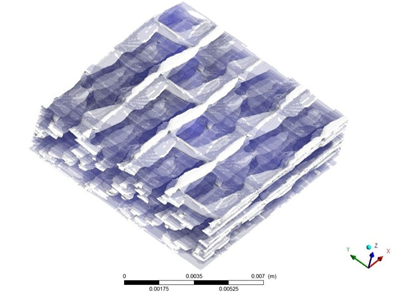 Multi-layered, nested textiles have been modelled using TexGen and a new interface to automate the generation of these models is nearly complete, facilitating the modelling of multi-layered composites. This includes the automatic generation of random offsets and calculation of maximum nesting. An ongoing problem in the area of meso-scale modelling of textile composites is the generation of conformal FE meshes particularly of the matrix areas where yarns meet. This is particularly challenging when matching element sets are needed on opposite sides of a unit cell to implement periodic boundary conditions. The existing algorithm for producing conformal tetrahedral meshes within TexGen, applicable to 2D weaves, has been extended to achieve matching element sets on opposite boundaries. There have been over 1000 downloads of the latest version of the TexGen software (3.6.1) since its release in January 2014, recorded from 63 different countries. This brings the total number of downloads to more than 16600 in 100 countries. The postings on the user forum show that TexGen has active users in both academia and industry. A collaborative project has been established with RWTH Aachen University in Germany as a result of their use of the TexGen software. A software tool will be developed to provide machine information for 3D woven profiles.